Twenty years ago [1997-04-21], one of the most memorable ads of all time was launched, when Rachael Leigh Cook and her frying pan starting smashing up eggs in her infamous "This is Your Brain on Drugs" ad. 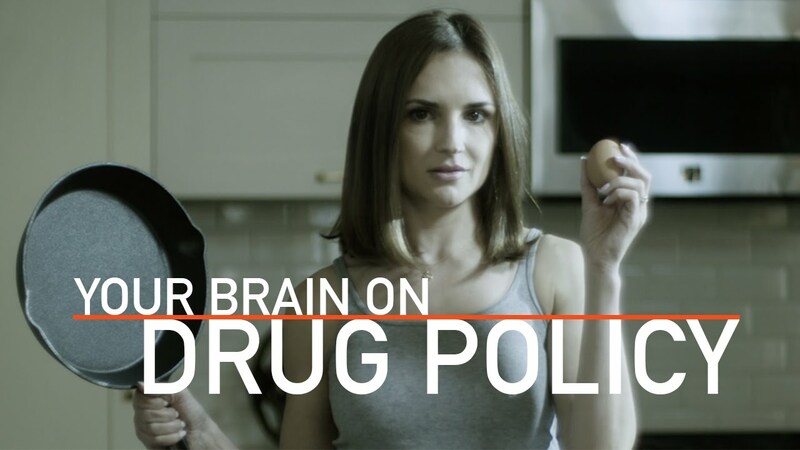 Today, Rachael Leigh Cook, her frying pan, and eggs are back but this time in a new ad that slams the drug war and its racist enforcement. The animated ad, narrated by Cook, then shows what happens to the brown egg that is arrested and funneled through the criminal justice system. The ad highlights a range of harmful collateral consequences that result from drug arrest, including the loss of student financial aid, hindered job prospects and broken up families. The add[sic] contrasts the white egg's family that was never arrested, despite also using drugs. The ad ends with Cook looking into the camera, holding her pan and [...] a smashed egg, and saying, "The war on drugs is ruining peoples' lives. It fuels mass incarceration, it targets people of color in greater numbers than their white counter parts. It cripples communities, it costs billions, and it doesn't work. Any questions?"